The June issue is live! 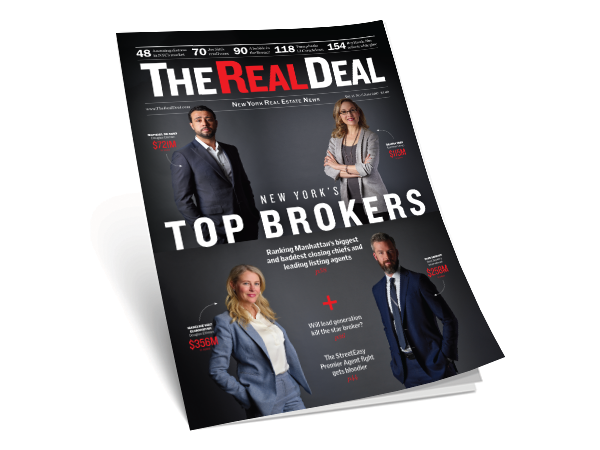 In our cover story this month, we rank Manhattan’s top residential agents. We’ve been running the annual ranking for about a decade, but this year we are doing something different. Instead of assessing agents based on the dollar volume of their listings, we are now using a method that ranks the brokers based on what they actually sold. We’ve also put together two separate lists — one for new development and one for resales — to get a sense of who is dominating each part of the market. Meanwhile, in our story “Will lead generation kill the star broker?” we examine the new wave of startup brokerages in the city that are getting big business from buying online leads. We look at what the flagging retail rents mean for Joe Sitt’s Thor Equities, and examine early signs of distress in parts of the city’s commercial real estate market. Elsewhere in the issue, there are stories on the softening ultraluxury rental market, the meteoric rise of architecture firm SHoP, and the growing trend of retailers on taking small-to-midsized spaces. Finally, in our Closing, Eastdil Secured CEO Roy March talks about his blue-collar roots, not being a “freak” as Harry Macklowe once described, and brokering trophy tower deals across the country. We also zoom in on how March’s firm is adjusting to life without its two star brokers.